What we’re proposing is something totally new: a not-for-profit, charitable radio service for the city of Winchester, from the city of Winchester, run by people living in Winchester, for the community of Winchester. Unlike other radio stations in the past that have broadcast from the city and had to close, merge, or move, Winchester Radio, as a charity, will not be affected by commercial interests, buy-outs or take-overs. Hat Fair at the Cathedral. Photos by eyesore09 (top), ecks ecks (centre), and Angus Kirk, all used under a Creative Commons licence. 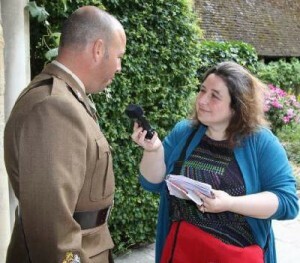 Anna O’Brien interviews RSM Jimmy Spencer on Armed Forces Day. 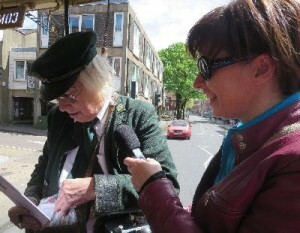 Helen Down interviews a bus conductor during the FOKAB heritage buses running day. 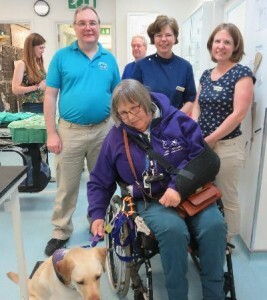 Nigel Dallard with the team from Mildmay Pet Hospital. Winchester Radio will focus on providing a service to people aged 50+, and the music played will reflect this. Alongside the music, we will have a mix of features that are educational, heart-warming, entertaining, and thought-provoking. We’ll keep our listeners in touch with what’s happening locally, encouraging them to participate in activities in and around the city, and get involved in what is going on – from local politics to amateur dramatics, from local sports teams to the local bridge club, from pub quizzes to the Clarendon marathon, from walks through the water meadows to trips to the Theatre Royal. There’s so much to do in the city, if only we knew about it – Winchester Radio hopes to fix that! 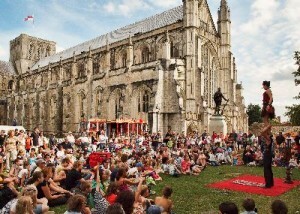 Anyone living in Winchester will be able to get involved – as a member of the charity, as a volunteer, or as a member of the Board of Trustees. 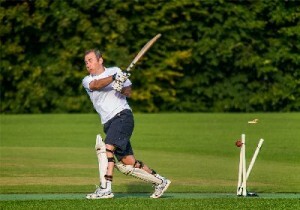 We envisage the vast majority, if not all, roles will be filled by volunteers. There will be no highly-paid management, and no shareholders. Radio for Winchester, from Winchester, by Winchester.